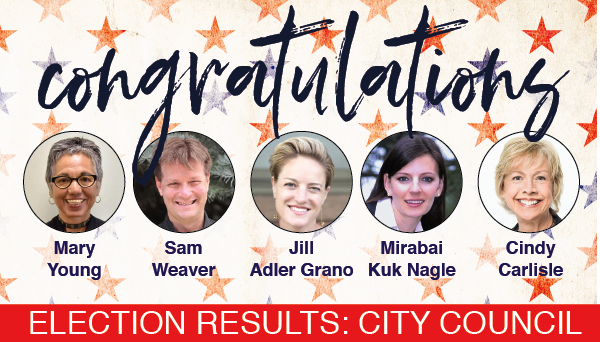 Better Boulder extends our thanks to all 14 City Council candidates for stepping up and participating in our local democracy. We congratulate the winners – Mary Young, Sam Weaver, Jill Adler Grano, Mirabai Kuk Nagle and Cindy Carlisle. We will work with the new council to further our mission of environmental stewardship and climate action, a vibrant economy, a diversity of housing options, a culture of creativity and innovation, and a transportation system with safe and accesible choices for all modes. We were proud to support ballot measures 2M and 2N and are pleased to see both pass with such the robust support.